Check out the 2018 Ford F-150 with Adaptive Cruise Control and Stop-And-Go! See how the new 2018 Ford F-150 continues to get smarter and smarter with a demonstration of new available adaptive cruise control with stop-and-go*, shot almost entirely with drones. When activated, adaptive cruise control with stop-and-go provides everything conventional cruise control does — keeps a constant speed without having to work the brake or accelerator pedals — plus, automatically maintains a comfortable preset Gap distance from vehicles ahead. It can also bring the vehicle to a stop and resume acceleration automatically. The 2018 Ford F-150 is now available at O'Meara Ford! Call us today at 303-254-5250 and schedule a test drive of one of these absolutely incredible vehicles! Check out the ease at which you can manuver a trailer with the Pro Trailer Backup Assist™ system! The incredible system provides added driver convenience and awareness when backing a hitched conventional trailer by allowing the driver to “steer the trailer” instead of steering the truck! The 2018 Ford F-150 is available at O'Meara Ford! Call us today at 303-254-5250 and schedule yourself a test drive! 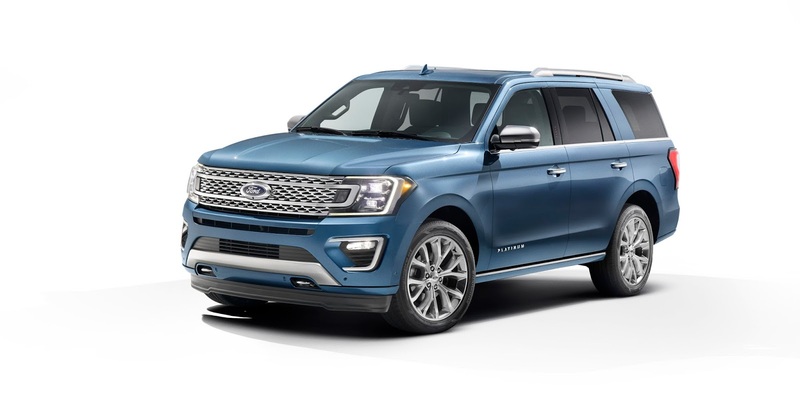 The all new 2018 Ford Expedition and Expedition Max will be available in the next few months right here at O'Meara Ford! 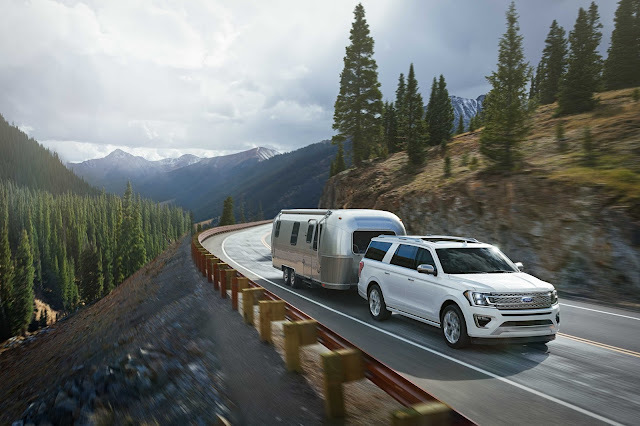 All-new Ford Expedition is the smartest, most capable, most adaptable Expedition ever. It features a lightweight, high-strength all-aluminum-alloy body that rides atop a high-strength steel frame. Standard 3.5-liter EcoBoost® V6 features Auto Start-Stop and is paired with a 10-speed automatic transmission to help deliver best-in-class towing of up to 9,300 pounds. Two-wheel drive is standard, with four-wheel drive available. Available technologies are adaptive cruise control with stop-and-go functionality, Pre-Collision Assist with Pedestrian Detection that includes active braking, Pro Trailer Backup Assist, SYNC® 3 with SYNC Connect, dual-headrest rear seat entertainment system with Sling™ Media integration, 4G modem with Wi-Fi hotspot, wireless phone charging and second-row tilt-and-slide functionality. Terrain Management System™ is standard on four-wheel-drive Expedition. Two wheelbase options are available for standard Expedition and Expedition Max. Trim levels include XLT, Limited and Platinum series. A new FX4 Off-Road Package available for XLT includes upgraded shocks, heavy-duty radiator, 18-inch Magnetic-painted cast-aluminum wheels, an electronic limitedslip differential and underbody skid plates. Standard rearview camera carries over.